Uncomplicated and fast. Our e-signature lets you finish the process in seconds. At the point of sale, submit the application online and end the sale by confirming to your clients that they're insured right away. Keep the sale focused on what matters most to your client. 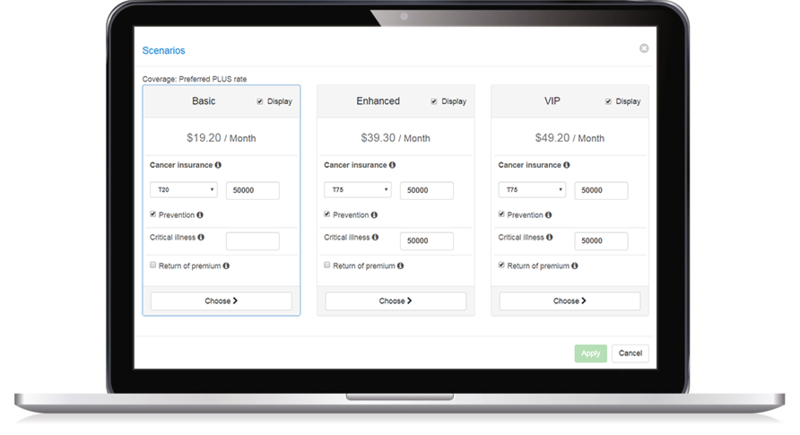 Our simplified sales tool guides your client through the decision process easily. Security is vital. Data concerning bank and medical information are never stored after the application has been processed. Add your client's phone number or email. 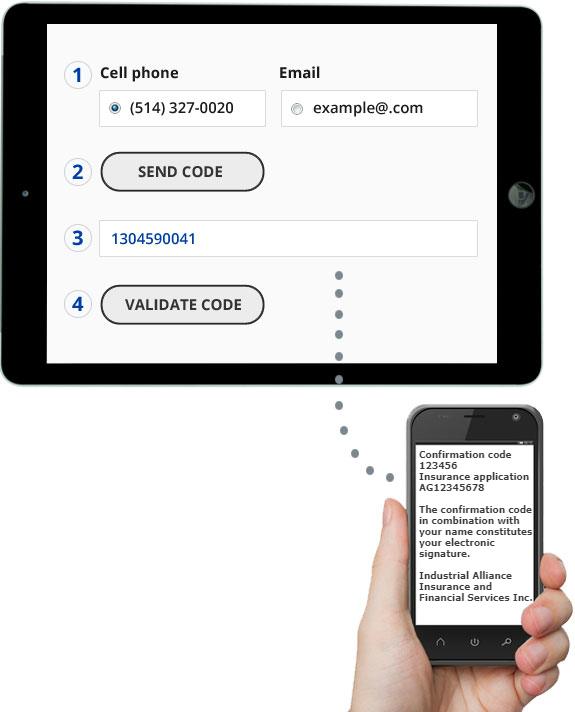 Your client should receive the code via text or email, you then enter this code. We’ve built a sales tool to simplify the decision process! See how our Decision Maker tool works! You can reach us by phone Monday through Friday from 8:30 a.m. to 5:00 p.m. EST.